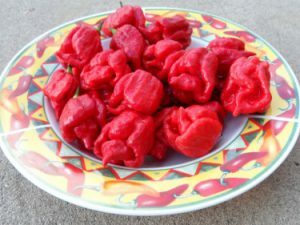 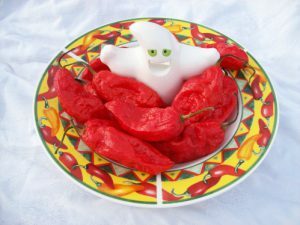 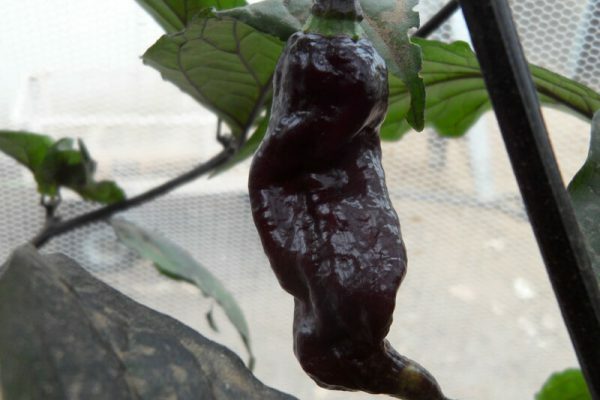 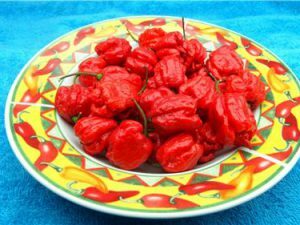 This variety is a cross between the Red Bhut Jolokia or Ghost Chile and the Pimenta De Neyde from Brazil. 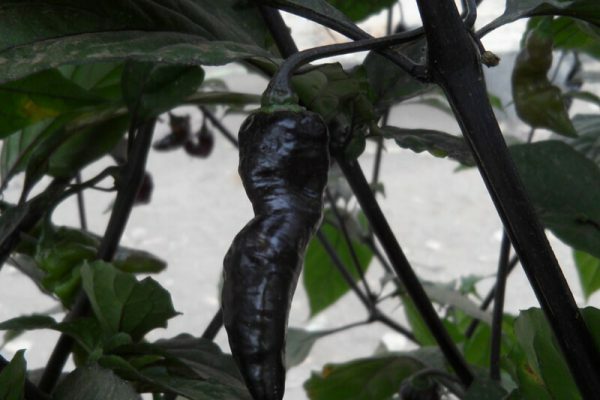 Many Italian growers are trying to stabilize but it is not there yet. 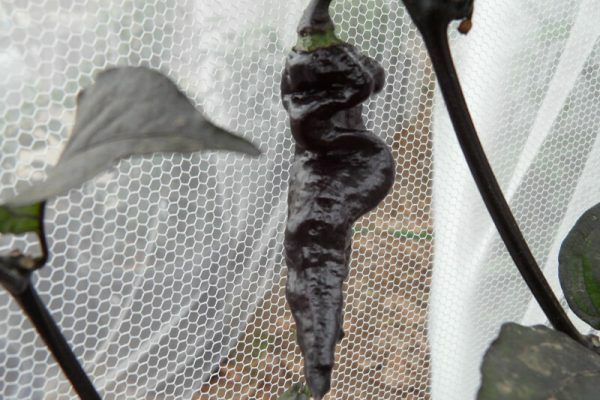 If you grow this you will get many variations. 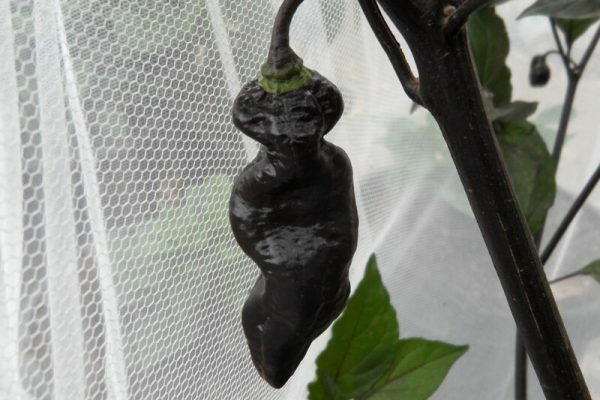 I have gotten fully ripe peppers that were dark purple almost black. 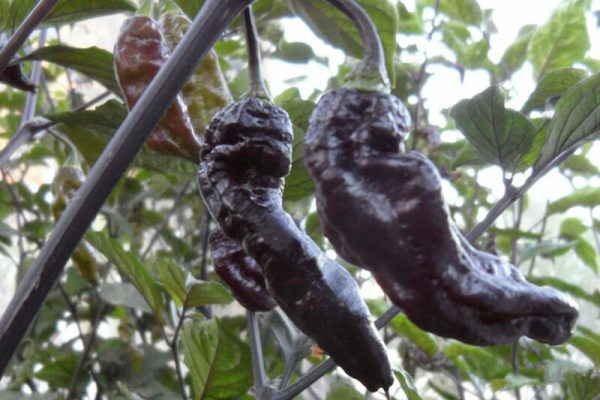 Later in season peppers still came out that color but some had streaks of red interlaced with the dark purple. 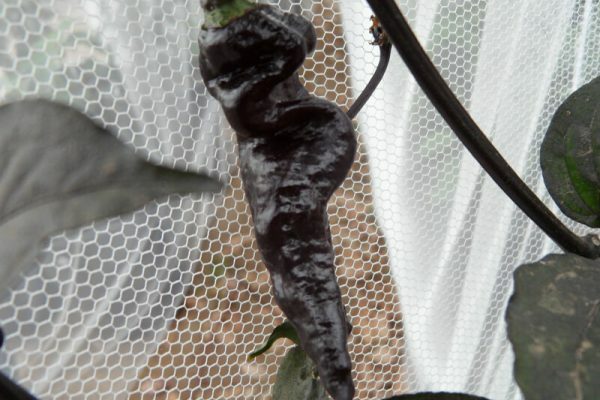 And I also had peppers turn from green directly to dark red. 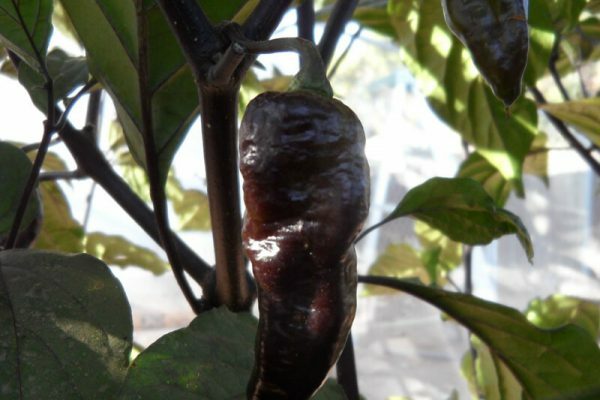 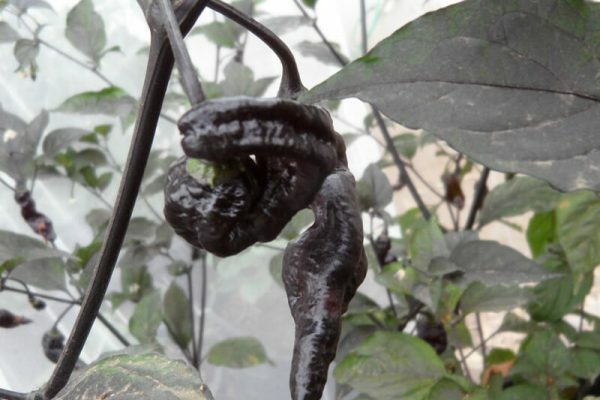 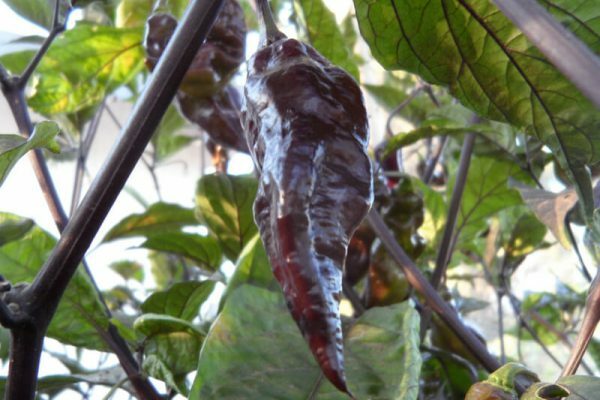 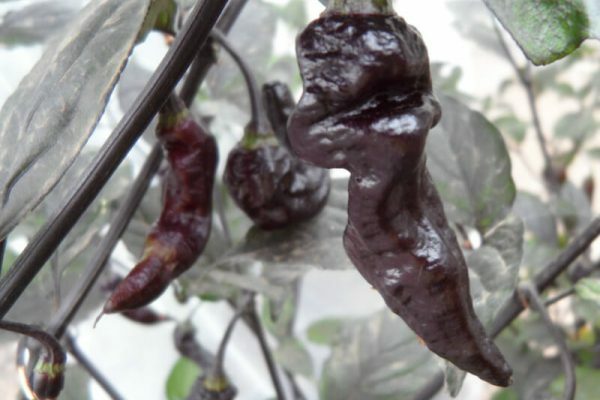 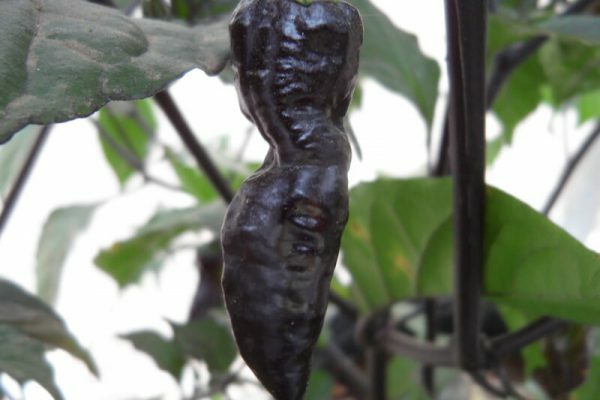 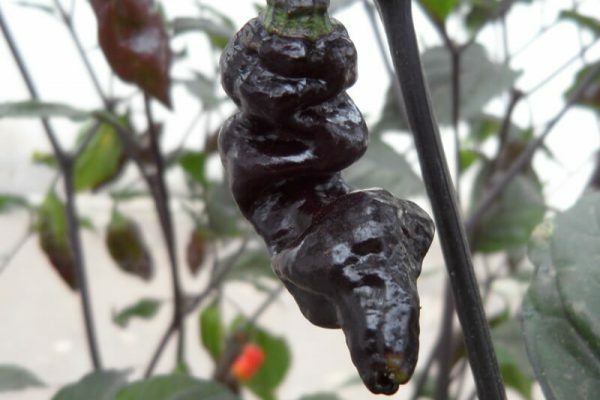 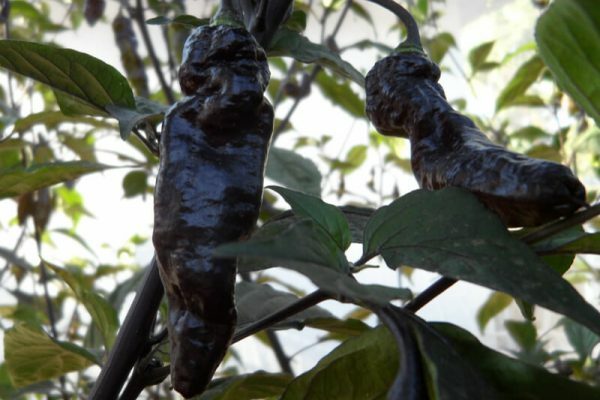 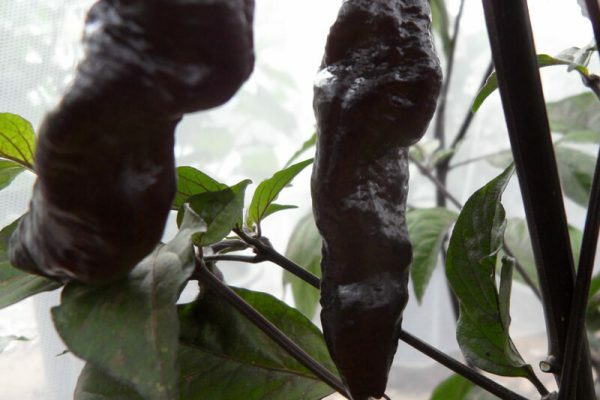 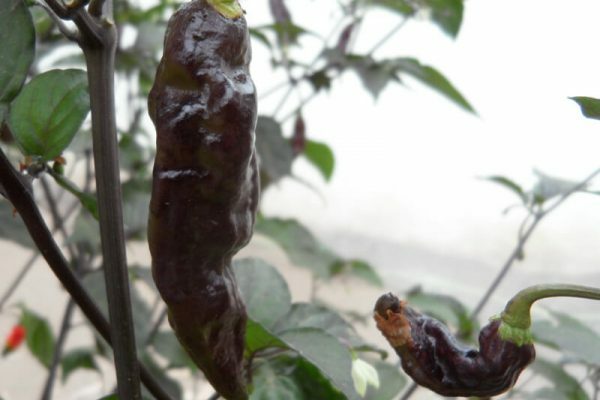 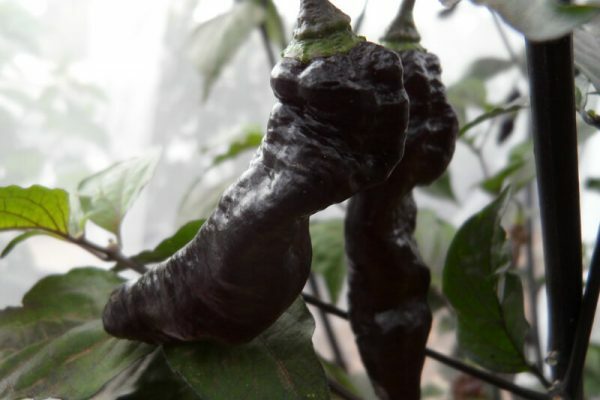 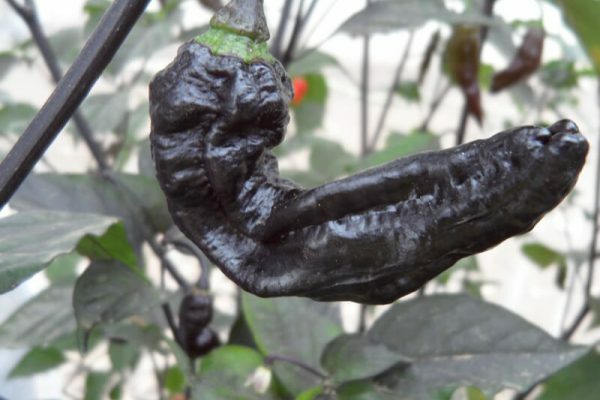 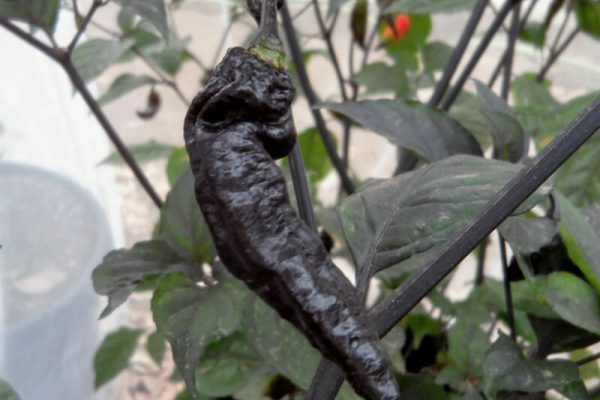 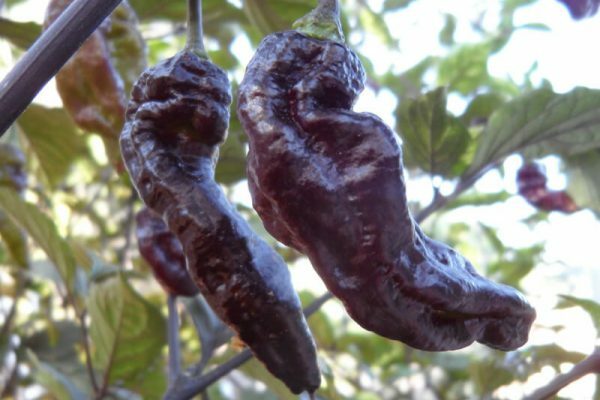 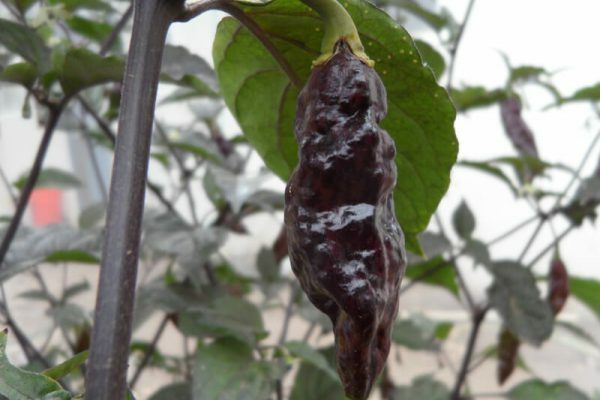 The flavors would vary but darker peppers on these chile plants would have a sweeter flavor. 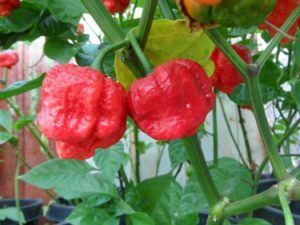 This is a fun variety to grow but do not expect consistency if you grow it. 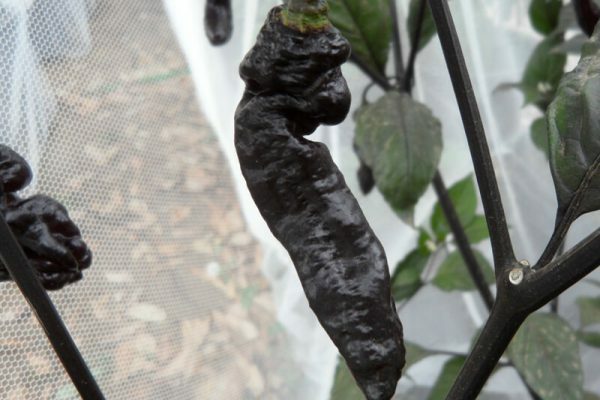 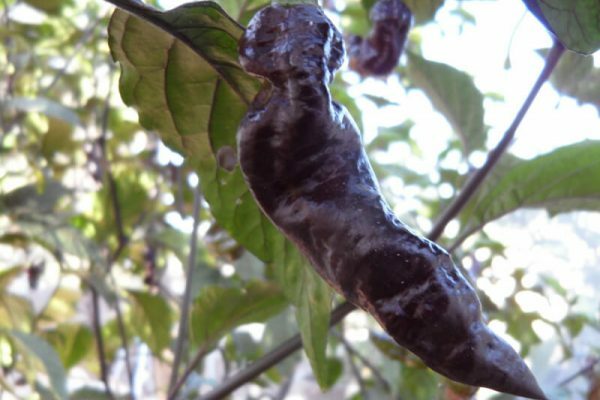 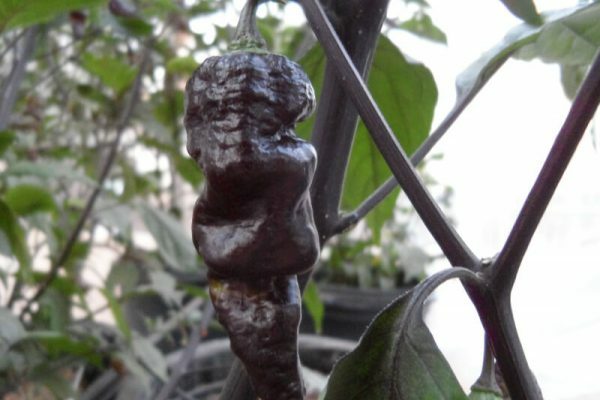 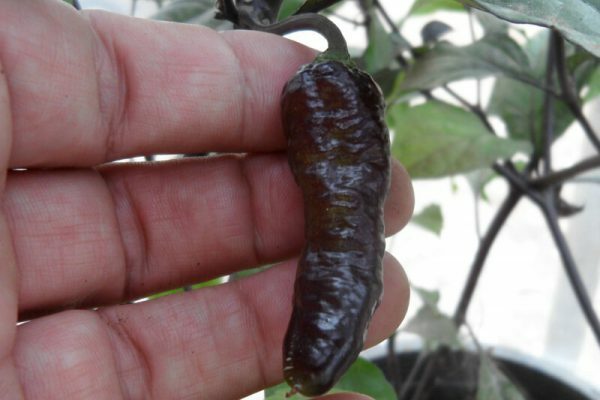 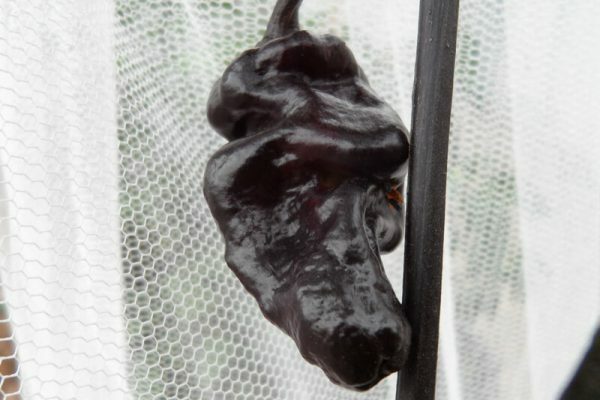 The Black Bhut Jolokia or Bhut/Neyde Cross chile plants will get over 4 feet tall. 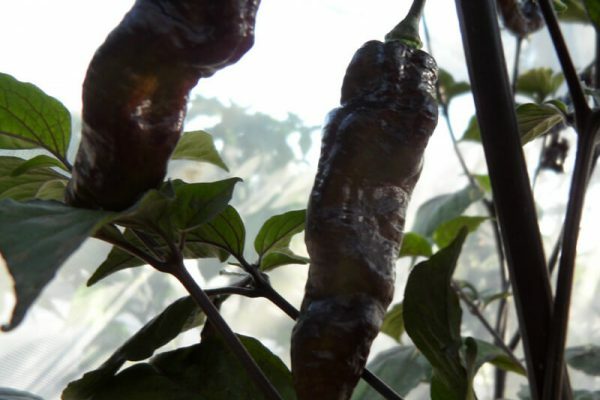 They are very fragile so staking them is a good idea.